Launching a Medicare Advantage (MA) insurance plan is a huge undertaking for a senior living provider. 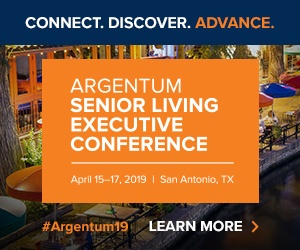 However, the work and risks involved could be worthwhile, considering recent changes to the MA program and trends shaping the senior living industry — and some organizations are taking the leap, starting their own plans and creating a template that others can follow. Executives with three such organizations — Juniper Communities, Marquis Companies and Cantex Continuing Care Network (CCCN) — shared their insights this week in San Diego, at the National Investment Center for Seniors Housing & Care (NIC) Spring Conference. They explained the steps that senior living and care providers must take before launching a plan and broke down the value of these plans in financial and strategic terms. Many private-pay senior living providers would need to shift their mindset before even considering starting a plan, Juniper Communities founder and CEO Lynne Katzmann said. That’s because many senior living companies sell hospitality and don’t place enough emphasis on managing and providing health care and related services. For instance, when a senior living resident falls in the middle of the night, standard protocol in many communities is to call 911, resulting in a trip to the hospital and possibly an inpatient stay. “That will not work in managed care. That is a recipe for failure,” Katzmann warned. In Medicare Advantage, private-sector insurers receive federal dollars to administer plans, and profitability is achieved by keeping enrollment high and costs down — this means emphasizing preventive care for beneficiaries and delivering services in the lowest-cost settings possible. Senior living providers that have a robust, wrap-around care model are therefore in the best position to start an MA plan, Katzmann said. For Juniper — which is based in Bloomfield, New Jersey and operates 22 communities across four states — that model has been dubbed Connect4Life. It involves a range of services provided in-house and through partnerships, including onsite primary care. A senior living provider also needs to have the right partners to launch a plan. A critical mass of beneficiaries is needed for a plan to be financially viable, and so medium-sized or small senior living providers most likely need to form partnerships to reach beyond their own resident populations. This is what Juniper has done, by coming together with Christian Living Communities and Ohio Living; these companies have formed the Perennial Consortium and are currently working to start an MA plan. But other types of partnerships are also required. Therefore, the Perennial Consortium is working with a company called AllyAlign Health, which is handling the back office operations and helping execute on the many necessary steps to starting a plan, including the application process with the Centers for Medicare & Medicaid Services, creating an adequate network of providers that accept the plan, to defining benefits and going to market. Generally, these steps take at least 18 months to complete, said AllyAlign President of Special Needs Plans Amy Kaszak, who also spoke at NIC. AllyAlign is also helping the Perennial Consortium forge partnerships with Medicare-certified providers. Senior living providers have the potential to receive MA reimbursement directly through certain newly allowed supplemental benefits, but this represents a limited source of revenue. To really see financial upside in MA, senior living groups need to own a piece of a provider — such a physician group or skilled nursing facility company — that receives more substantial reimbursements, Katzmann said. Clearly, there is a lot to take on in starting an MA plan, said Steven Fogg, CFO of Marquis Companies. Milwaukie, Oregon-based Marquis offers a wrap-around care model, including private-pay senior housing, post-acute and skilled nursing, home care and pharmacy — and in partnership with AllyAlign, it offers a Medicare Advantage special needs plan dubbed AgeRight Advantage that opened for enrollment in 2016. Two factors have emerged as the main drivers for the financial outcomes of AgeRight Advantage, Fogg said at NIC. One factor is minimizing beneficiaries’ hospital episodes. Hospitalizations are often accompanied by post-acute skilled nursing stays, and together these are the largest cost areas for the plan. Notably, Marquis has learned that its assisted living residents go to the hospital at a higher rate than its SNF residents — again underscoring that in the more hospitality-forward AL environment, there’s a learning curve to train staff so that they safely keep residents out of the hospital, Fogg said. The other factor: risk scores. Medicare Advantage insurers receive a base level of capitated payments from the federal government and additional dollars based on the profile of their beneficiary population, which can change over time. Therefore, it’s crucial to capture all the right diagnosis codes and clinical information, so that the plan’s risk score accurately reflects the needs of the plan members. Fogg shared a hypothetical financial breakdown for an MA plan, based on the experience that Marquis has had so far. In this breakdown, a plan with 1,000 members collected $2.25 million in monthly premium revenue. In terms of major costs, the plan paid out about $375,000 to cover members’ hospitalizations, about $248,000 for SNF stays, and $500,000 related to Medicare Part D prescription benefits. In this example, total monthly claims rang in at $1.148 million, or 81.94% of revenue. Medicare Advantage plans are held to a medical loss ratio — that is, they are required under regulations to spend 85 cents of every premium dollar on claims. So, in the example that Fogg shared, the financial upside boiled down to 3.06% of revenue for the insurer and its gainshare partners to split. However, that is not counting management fees that would be paid to AllyAlign or a similar entity. “What you can begin to see is the real economic opportunity, just from the plan, is not so much bottom line,” Fogg said. There are additional financial wrinkles to consider if a company operates SNFs and post-acute rehab facilities and also creates an MA plan, noted Peter Longo, principal and managing partner of CCCN, which owns and operates 34 SNFs, as well as home health and hospice agencies. Reducing SNF utilization will be good news for the MA business but eat into the revenue for these buildings, he noted. Nonetheless, it can still make financial sense to launch a plan. One reason: acuity has steadily risen in private-pay settings such as assisted living, meaning that providers are spending more money to maintain residents’ health, wellbeing and safety. The private-pay model may not be sustainable as these costs continue to rise, and Medicare Advantage is another revenue stream that can directly and indirectly cover expenses related to more intensive care, Katzmann said. The care coordination model needed for Medicare Advantage can pay off in other ways, as well. Though it’s still early days for Medicare Advantage in senior living, Katzmann thinks that providers need to take a big-picture perspective. In the United States, “health costs are out of control,” and there is an impending wave of aging boomers with a “host of chronic illnesses,” she said. Major changes will be required up and down the spectrum of care given these facts, with Medicare Advantage being a program that is likely to gain increasing importance — and senior living providers can leverage this to their benefit. “If your care model works and if you have scale with the right partners — and those are some big ifs — you can in fact make money,” Katzmann said.